Remember your first skincare routine? We bet it looked a lot like a foamy bar of soap or cream cleanser, a bottle of toner and some cotton pads, and maybe a cream for your acne problems. We’re guessing you probably could not imagine following the same routine now. As your skin needs shifts with age, so will your products. When it comes to skincare, routine varies from person to person. They can be minimal or extreme depending on your skin type, environment, age and budget. And with so many skincare products out there, it can be difficult to separate the wheat from the chaff. 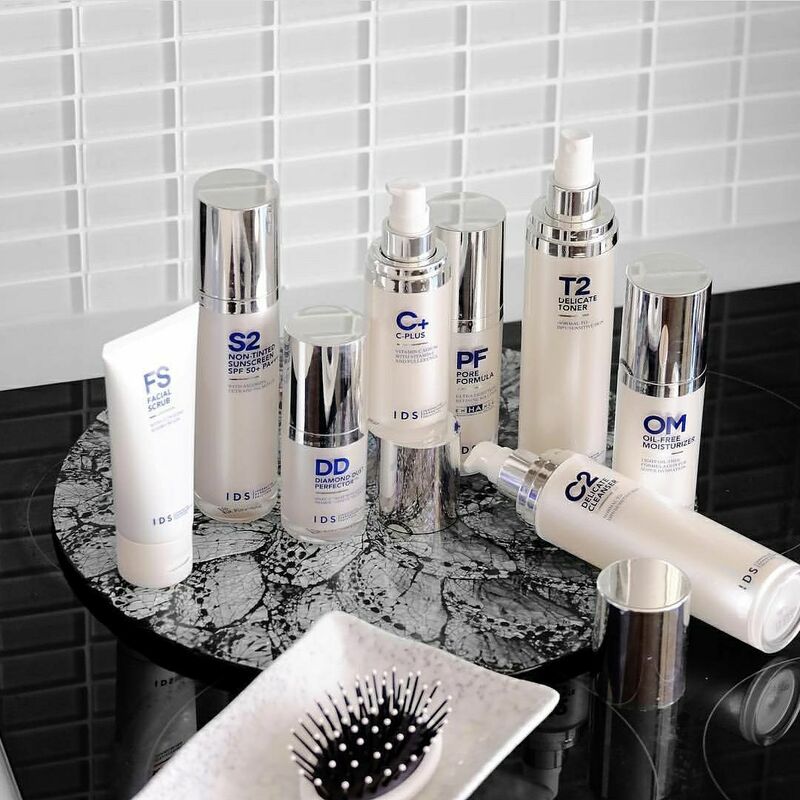 IDS Skincare is a homegrown brand that was started by Dr SK Tan. For the unacquainted, Dr SK is one of the foremost skincare doctors in Singapore. 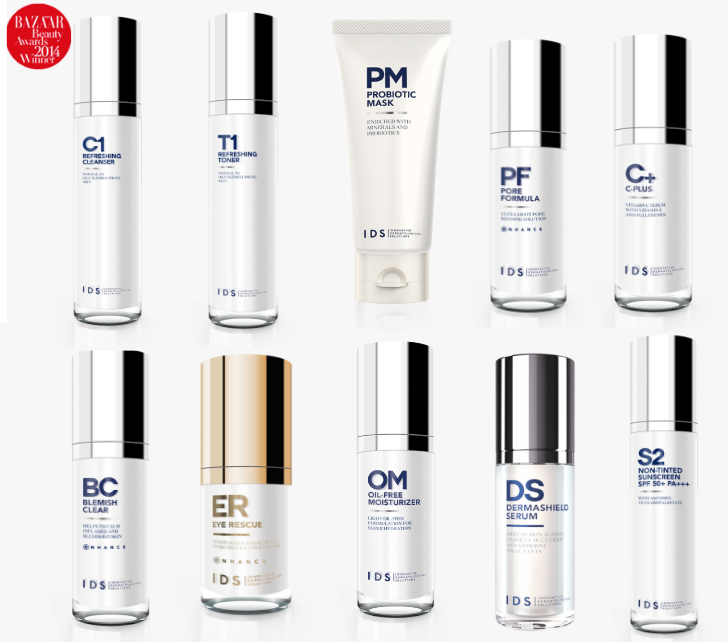 IDS’ skincare line is made to deliver highly visible results that surpass those achieved by most prescription products, without the side effects they often cause. Majority of us are used to turning to Korean skincare products to miraculously solve all of our problems, so our colleague, Esther, decided to jump on the IDS bandwagon to check out if our homegrown brand is everything that it promises to be. If you don’t already have a good idea what your skin type is, you definitely would want to be able to identify that before beginning a new routine. You can get a skin analysis at IDS Clinic, where doctors are able to help pinpoint the cause of your skin problems. 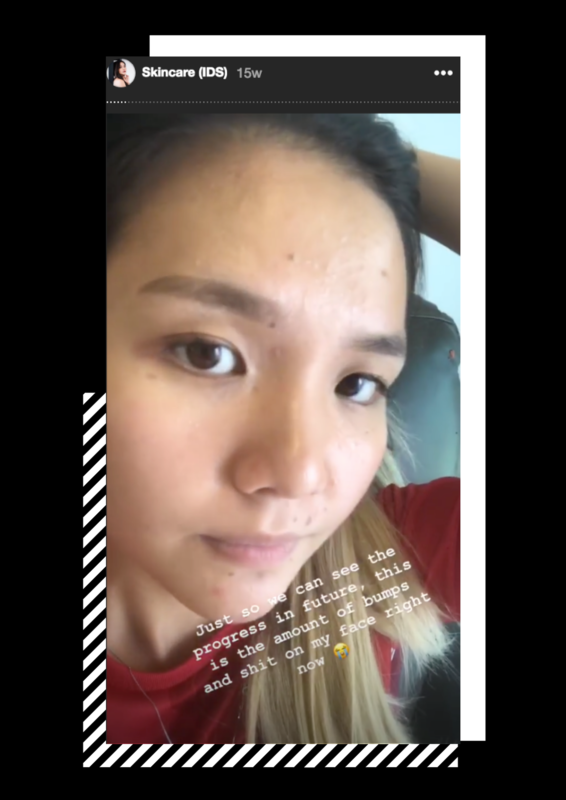 “I’ve always thought I had combination skin but the doctor at IDS told me that my skin type leans towards the oily side,” Esther shared with us. Not only do they provide consultation services but they also offer products from their IDS Skincare line that are designed to address the most common skin problems faced by the public. After consultation, IDS will recommend treatments or a set of products to address all potential concerns. After the consultation with IDS, they set Esther up with a range of products specifically for her skin. 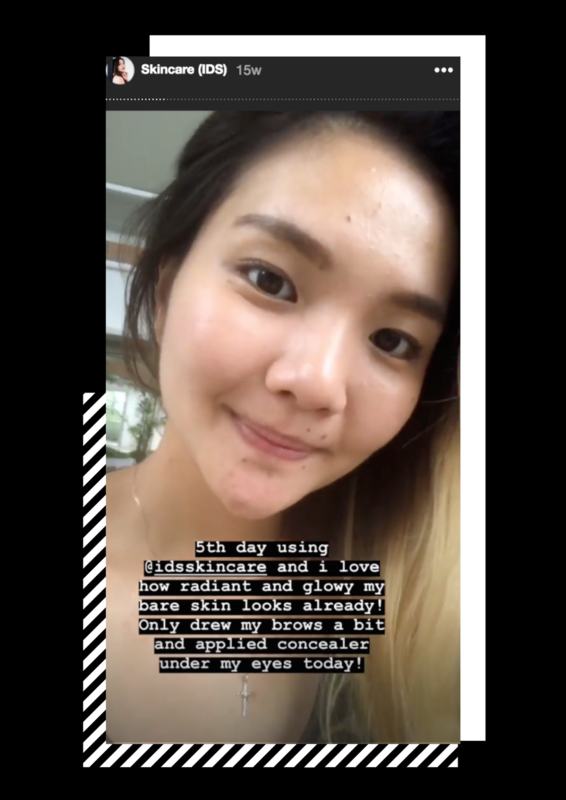 Her daily skincare routine includes 10 products that are meticulously grouped to cleanse, balance and protect the skin for a flawless complexion. 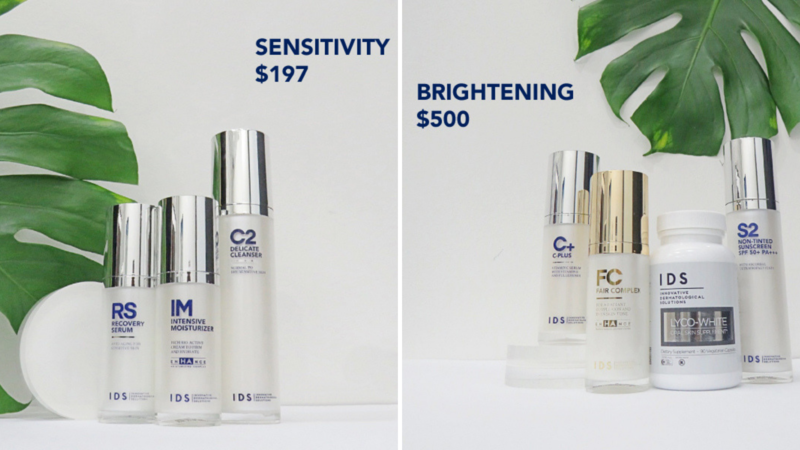 The formulas are designed to target specific skincare concerns and are packed with the highest level of effifacious ingredients possible, so users could get the most visible results in the shortest time possible. 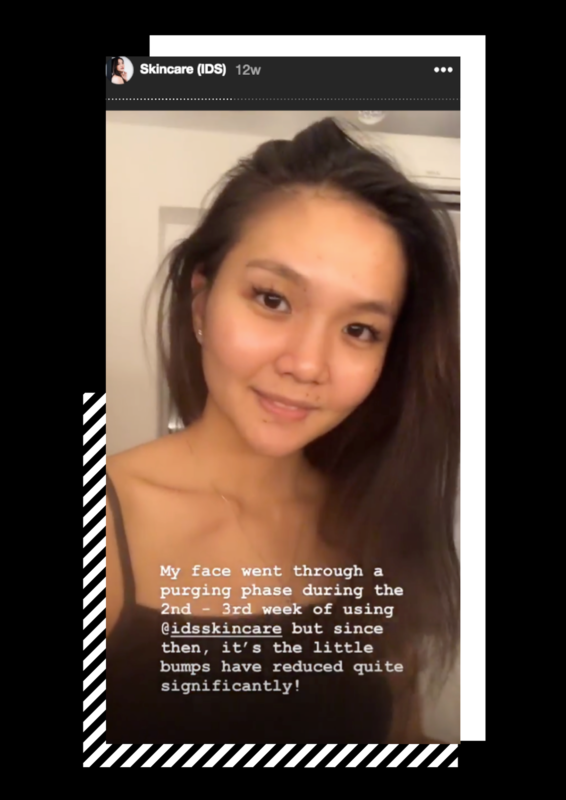 Within the first 5 days of religiously following through the skincare routine, she noticed that her bare skin was a lot more radiant and glowy as compared to when she first started. However just like many others after starting on a new extensive skincare routine, their skin will tend to “purge”. As for Esther, her skin started purging two weeks after starting her new skincare routine. If you can grin and bear the purging or breakouts for a few weeks, it may very well go away, but if the product in question is causing you real grief, go back to your tried-and-tested! 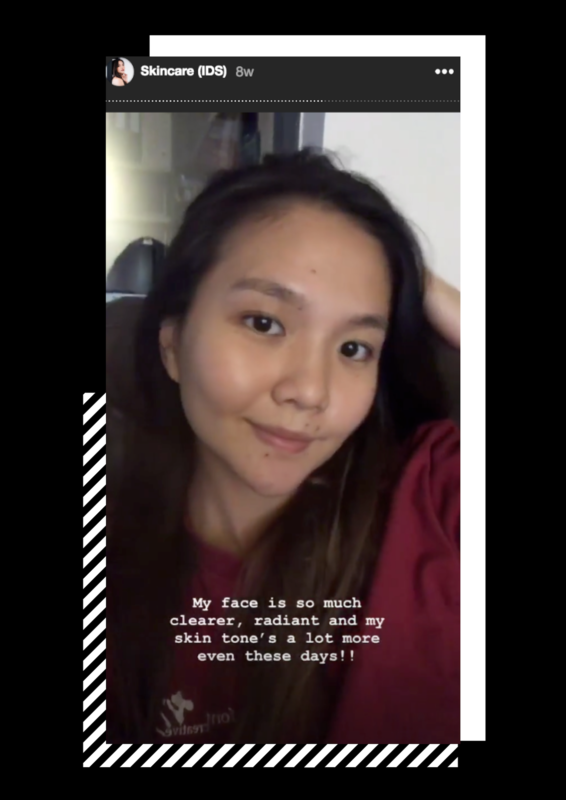 After following the routine dutifully for a month, she saw pretty fantastic improvements in her skin across the board: fewer breakouts, more even tone, a legitimate “glow” that was luminous rather than oily, and noticeably lesser bumps and blemishes on her forehead. If you’re not too sure where to start with new skincare, simply ask a professional who can offer knowledgeable suggestions and prescribe products to help you on your path to healthy and clear skin. 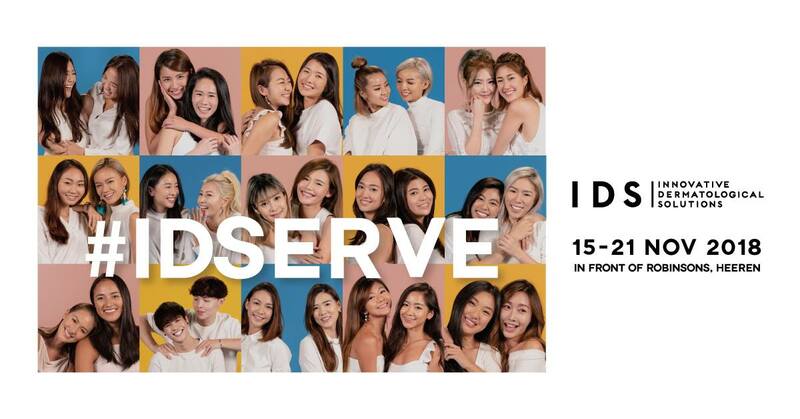 Head down to their first pop-up #IDServe Exclusive Showcase at Robinsons The Heeren for the ultimate skin discovery journey. If you are new to IDS Skincare, check in with any of the friendly staff who will analyse your skin and recommend suitable products for free! Getting to know your skin better saves you from possible skin irritations, a possibility of allergies arising and money wasted buying all the wrong products for your skin. IDS Skincare products are formulated with clinical insights and patient experiences so you never have to worry if their products are suitable for your skin type. Enjoy savings on your IDS Skincare products as they have curated special bundle skincare sets for different skin concerns specially for this event. Best part, their products are formulated to target common skin problems especially in our tropical country. Receive IDS Skincare vouchers (worth up to $190) which can be used for instant redemption on any regular-priced a-la-carte purchases at #IDServe. Be one of the first 150 to spend from 17 November 2018, Saturday to 18 November 2018, Sunday and receive a mini dried flower bouquet alongside your beauty purchase. Swing by IDS’ upcoming glasshouse pop-up event happening from 15 – 21 November to kick start your skincare journey. Who knows, you’ll probably spend lesser time on your makeup routine the next time you leave the house!